For you as a parent, your baby is the most beautiful gift in the universe. In general, babies are adorable and amazing, but there is so much more to them that you don’t know about. Hence, here is a compiled list of weird and interesting baby facts that make a baby so awesome. Newborns can smell, hear and see as good as an adult. They do get startled by the sound as it is new to them but the most amazing part is they can recognize their mother’s voice first. According to a research babies can recognize their mother’s voice during pregnancy but their hearing at this point is not the best as their middle ear is underdeveloped which impairs hearing. The only sound they can differentiate is their mother’s which activates a part of the brain associated with language process. As for their eyesight, most newborns are short-sighted because their brain cannot process all the information well at this age. Though they notice everything they can only differentiate visually after a few weeks. Their sense of smell is pretty heightened at this age. Don’t be scared, even though babies are not born with a kneecap, they are born with a cartilage resembling one. 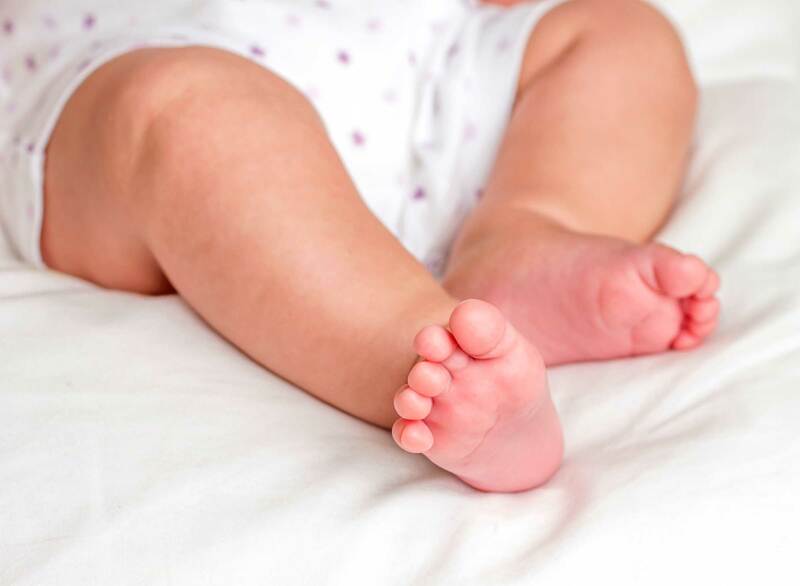 These cartilages take almost 6 months or more to completely develop into a kneecap which explains why babies don’t crawl immediately on all fours but you’ll be astounded to learn that even with the missing kneecap they find their way around. Even with all the wailing and screaming, in reality, babies can’t shed tears, at least not for 3 weeks of their birth. This happens as the tear ducts of babies are not completely formed. They develop enough to keep the eyes moist but they can’t cry for a long time, sometimes as long as 4 to 5 months. Now you must think, how is that possible? Where do they fit all those extra bones in such a tiny body, right? The truth is babies are born with 270-300 bones in their body which later fuses together to form the skull and the spine and come down to 206 distinguishable bones as they grow up to be adults. These extra bones also help them to come out of the mother’s womb during their birth. Unlike adults who have 4 identified taste buds, babies have three times more taste buds. These taste buds appear on the baby’s third trimester, they appear on the sides and the roof of the mouth apart from the tongue. Hence, pregnant ladies are encouraged to try different types of foods. These taste buds go away as the baby grows up. To finally settle the discussion who does the baby like more, the truth is a baby likes his mother’s or rather women voices more than his father’s or men. They prefer high pitched voices over low pitched voices which explain why people are so high pitched around babies, this helps to get a better response from the baby. As for several discussions where people ask who does the baby look like more? Well, according to a recent research, a baby looks like both of his parents. They inherit features from both the parents. Isn’t it one of the most amazing facts about babies? It is true that babies can hear even when they are in the womb. According to a research, babies can identify music they heard in the womb up to 4-5 months of their birth, in fact, it sometimes helps to soothe your baby’s crankiness. Newborns have a super grasp. The baby’s grasp is so strong that the baby can hang midair balancing his weight with this grasp. Aren’t babies just the most amazing? Babies are sleepy most of the first few months. They are almost alert 3 minutes every hour of the day even lesser at night. This happens as a baby’s brain consumes the majority of the glucose intake. 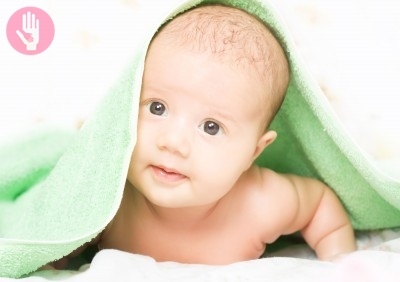 Babies can smile only after the first month. Tiny tots love when people engage with them with funny voices and faces so if they are ready they will smile back at you and if not try repeating the gag. These weird and interesting baby facts make babies even more amazing and adorable than just their tiny fingers and giggles. As a gift of nature, enjoy every second your baby has to give you before he turns into a beautiful and magnificent human being. Hope you enjoy the cutest hours with your baby.